Arktek Directors Nigel Jones and Mark Bewick enjoyed an eventful afternoon at Fatfield Academy as they attended the Summer Fair this afternoon. 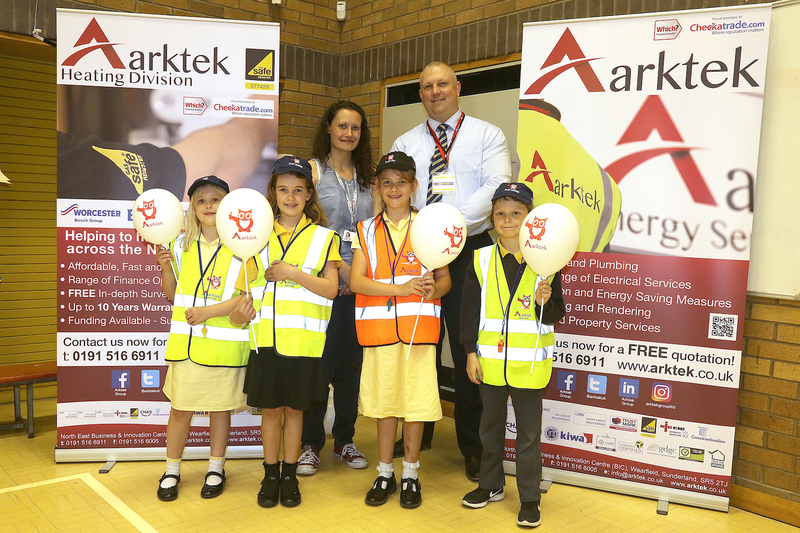 Arktek sponsor the school’s Play Leaders and Play Pals as part of the initiative to improve support at break and lunch times and were there to present the children with their new uniforms. 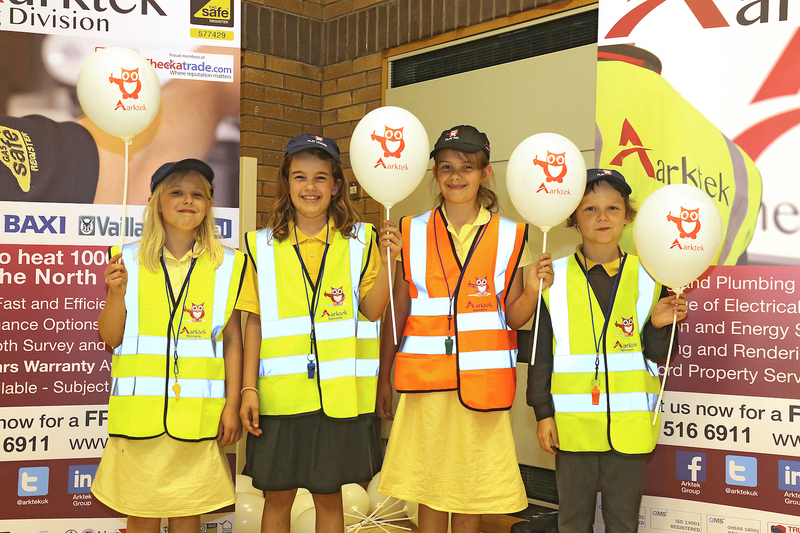 The children all received hi-vis vests and caps to help them stand out in style as they help at playtime. Staff were also there to talk to the children about energy saving and handing out balloons displaying Archie the Arktek Owl and prizes for their participation. It was great to see so many smiling faces and so many children interested in the stand – nothing to do with the sweets of course! We look forward to supporting the school in future ventures and hope to be invited back some time soon. 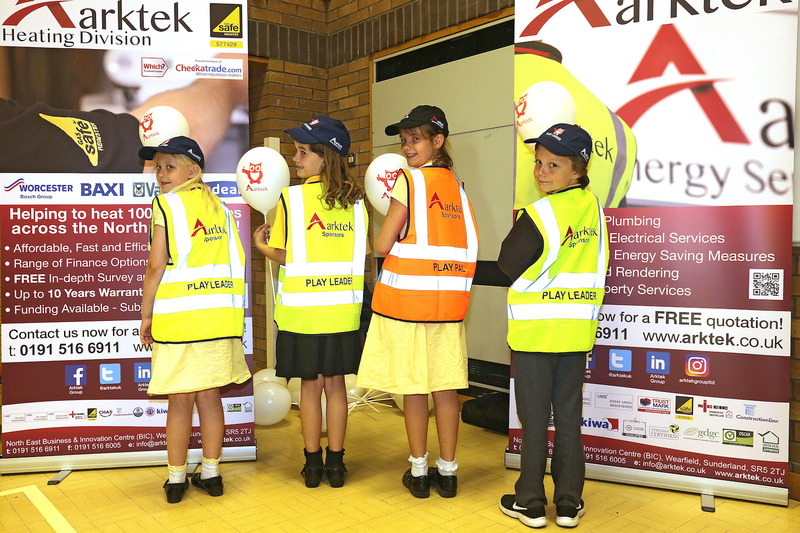 Mark Bewick, Managing Director of Arktek with Fatfield Primary School Play Pal and Play Leaders sponsored by Arktek.